See photos and high quality video of Wishes during its final week of performances at the Magic Kingdom. The Magic Kingdom is selling a range of Wishes farewell merchandise. See the Wishes fireworks show from atop the Contemporary Resort. A new nighttime spectacular will debut in May at the Magic Kingdom. Wishes is simply incredible. Not only are the fireworks epic, but the narration/story/music/etc. bring all that Disney magic is into one phenomenal, powerful spectacle. A must-do. 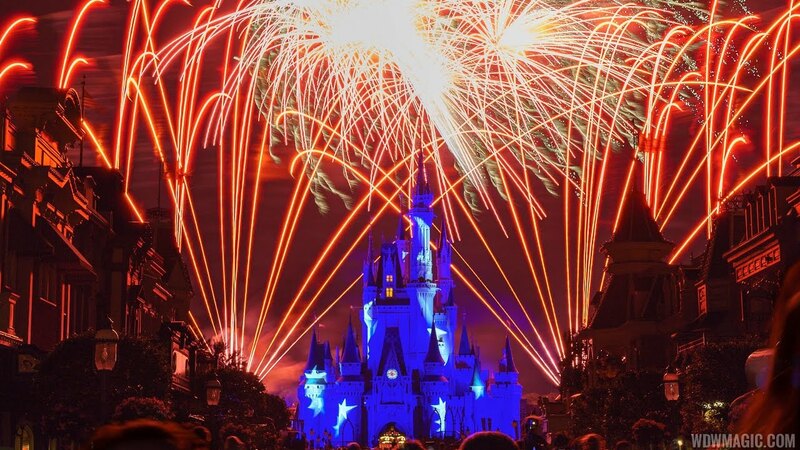 One of the Magic Kingdom's top shows is Wishes, a nightly firework show. To start off the music is incredible. The songs are heart warming and the show itself is magical. The fireworks are also well done. A great way to end your day at the Magic Kingdom. We loved the Wishes fireworks display. It gave me chills. The fireworks are so beautiful especially the ones towards the end. The get so big they look like they are going to take up the entire sky. I have told everyone I know that any other fireworks show we go to will never compare. I video taped them and my kids and I watch it all the time. the mesage is def. something that everychild needs, if you believe in your dreams, and try your best, they will come true and you should never give up!!!!! Wishes is the current firework spectacular performed daily at the Magic Kingdom, and replaced Fantasy in the Sky which has been running since 1971. Wishes officially opened on 9 October 2003. The power of a wish combines with magical moments from cherished Disney films and dazzling pyrotechnic effects to create "Wishes," a new story-in-the-sky fireworks spectacular that debuted on October 2003 at Walt Disney World Resort. Narrated by Jiminy Cricket, who memorably served as Pinocchio's conscience in Disney's animated masterpiece, the new Magic Kingdom show tells a thrilling, heart-tugging story about making wishes come true. "I bet a lot of you folks don't believe that -- about a wish coming true, do ya?" Jiminy says as "Wishes" begins. "Well, I didn't either. Of course, I'm just a cricket, but let me tell ya what changed my mind. Ya see, the most fantastic, magical things can happen -- and it all starts with a wish!" At several times the size of "Fantasy in the Sky," Magic Kingdom's previous fireworks show, "Wishes" is the biggest, boldest pyrotechnic display ever staged in the theme park that celebrates fantasy and the fantastic. The 12-minute spectacle takes guests through treasured tales of adventure and romance from classic Disney films, accompanied by brilliant bursts of color and light above -- and around -- Cinderella Castle.
" 'Wishes' takes us into the heart of Disney storytelling and shows us that wishes can come true if you believe in them with all your heart," said Steven Davison of Walt Disney Creative Entertainment, who created "Wishes" and Disneyland's popular "Believe... There's Magic in the Stars" fireworks spectacular. "The goal of the show is to move guests in a very special way, to fill them with a magic only Disney can create and, most of all, to give everyone a magical memory to treasure for a lifetime." 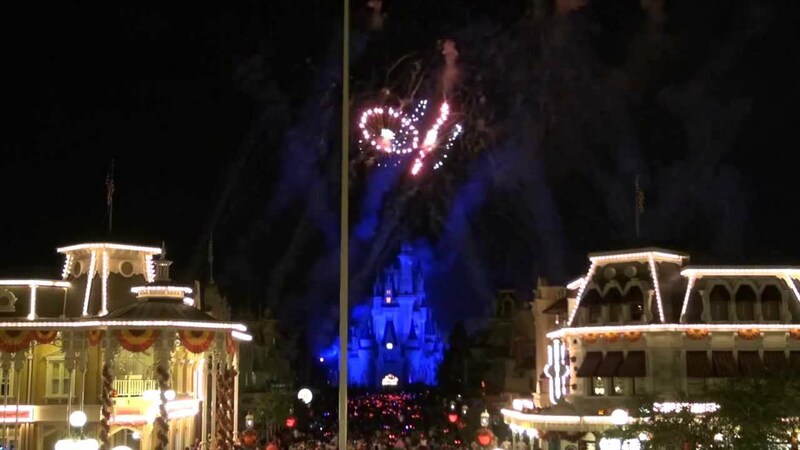 The warmly emotional presentation provides the perfect "kiss goodnight" for Magic Kingdom guests and is a key element of Magical Gatherings, a new program that makes it easier than ever to plan a Walt Disney World vacation for large groups of friends and family. "What 'Wishes' is created to do is bring everyone together at night," Davison said. "They all may have different experiences during the day but at night we're asking everyone to come to the Magic Kingdom to watch what happens when family and friends all make a wish together and see what happens in the sky." While "Wishes" replaces "Fantasy in the Sky," which premiered in 1976, one fondly remembered element remains -- a certain mischievous pixie who flies high above Magic Kingdom to demonstrate the power of believing in a wish. "We'll make people cry, we'll make people laugh," Davison said. "It's a show about emotions, and really what Disney does best." The show runs for 12 minutes. 683 individual pieces of pyrotechnics are launched during the regular nightly shows. Tinker Bell began “flying” from high atop Cinderella Castle in 1985 as part of Fantasy in the Sky. Composer/arranger: Gregory Smith, who previously worked on such Walt Disney World productions as "IllumiNations 25" and "Splashtacular" at Epcot, and the "Mickey Mania" parade at Magic Kingdom. Fireworks designer: Eric Tucker, an award-winning pyrotechnics designer whose credits include "IllumiNations: Reflections of Earth" at Epcot.